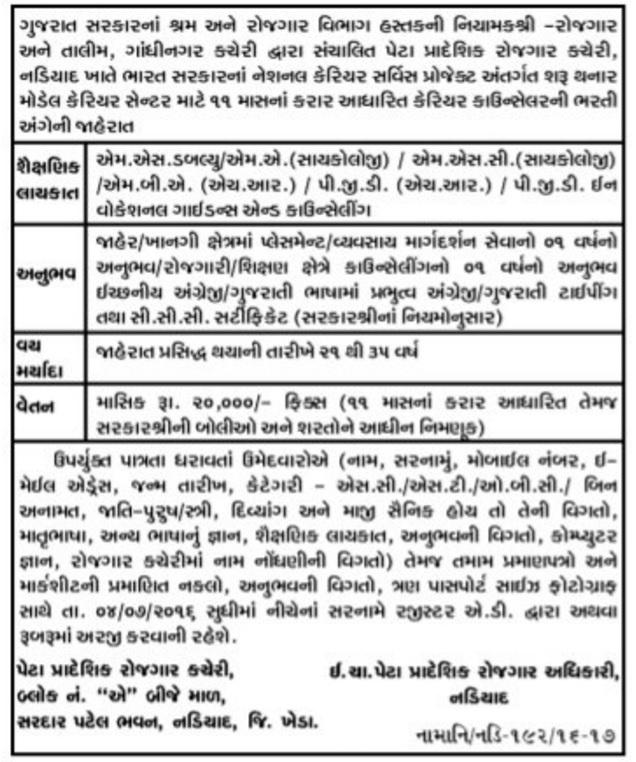 Directorate of Employment & Training Labour & Employment Department, Gujarat State, has published a Advertisement for below mentioned Posts 2016. Other details like age limit, educational qualification, selection process, application fee and how to apply are given below. Address to sent Applications : Sub Divisional Employment Office, Block No. "A" Second Floor, Sardar Patel Bhavan, Nadiad, Dist. Kheda.